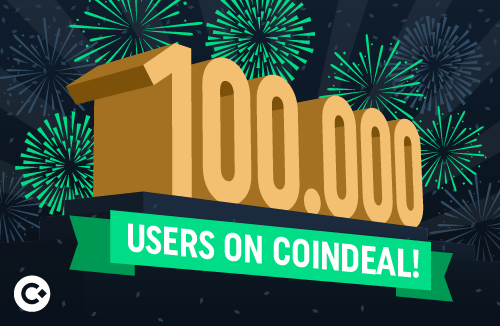 Over 100 000 users have chosen CoinDeal! CoinDeal community already has over 100,000 registered users! CoinDeal community already has over 100,000 registred users! Our platform launched on March 1st, 2018. We have achieved such a large community of active users in less than a year. We are very proud of this feat as it is an incredible success. Thank you for being with us! Every day we continue to grow for you and know that all of the work we put in is worth it! We do not intend to rest on our laurels and we are facing further, dynamic development to become the best exchange available.